Evel Knievel was an unmistakable iconic of the late 60s and early 70s. His televised motorcycle jumps scored high TV ratings and his toy action figures flew off the shelves. He earned a place in the Guinness Book of World Records for “most bones broken of a lifetime.” (Like many quirky celebrities, he eventually settled in Florida.) Along with a risk-taking persona, he had a canny instinct for promotion and a blind spot for his dark side. All three of those qualities combined for his highly publicized attempt to jump Idaho’s Snake River Canyon in a custom made Skycycle. Oscar-winning director Daniel Junge explores the good, bad and ugly of Evel’s life and career. Packed with spectacular stunt footage, the film is a nostalgia trip for anyone who recalls ABC’s Wide World of Sports and a revelation for younger viewers. 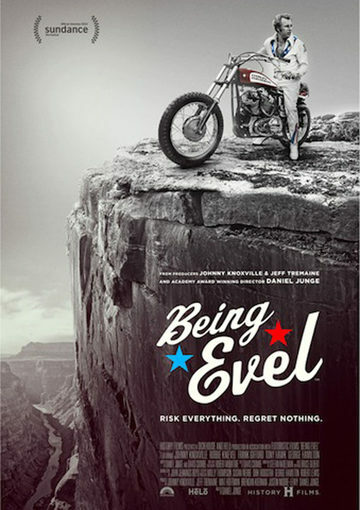 Evel gave inspiration to another generation of daredevils including BMX rider Mat Hoffman and MTV’s Jackass creators Jeff Tremaine and Johnny Knoxville who all serve as executive producers on this project. Learn more at www.MiamiFilmFestival.com.